CARECEN’s Mission is to promote promote community stability and wellness to empower Latino immigrants to affect long term change. Our history starts in 1986 when we were established by Salvadorean exiles, one of which still works with us today. We take inspiration from Monsignor Romero whom is also known as San Romero de la Americas. The principles of our work are as follows: Immigration is a human right. Immigrant Families have the right to live in security, grow, learn, and prosper in their new homeland. Respect and honor diverse cultures, strengths, and movement building, and strong immigrant communities are built through support, education, and civic engagement. As part of SFILEN we are contracted to do consultations and process immigration documentation. We process a variety of family based immigration applications that vary from U-Visa, TPS, Naturalization, Adjustment of Status, family petitions, and consular processing. CARECEN has four key programs: Legal, Second Chance Tattoo Removal, Family Wellness Program, and Promotoras. Within these programs we have case managed, violence prevention, social services, referrals, language access, deportation defense and health wellness. We are involved in national and transnational work identifying root causes of migration and advocacy. María is the daughter of Salvadoran parents that came to the United States during the civil war. Her history with CARECEN began when her father applied for asylum in the 1980’s. In 1997 she joined the Second Chance Tattoo Removal Program as a client. María became an activist when she was 13 years old during the prop 187 walkouts and has been involved with several grassroots agencies throughout the Bay Area as a participant, volunteer and employee since then. 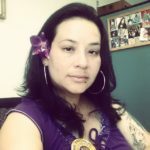 She is a proud member of Danza Azteca Xitlalli and a co-founder of the Justice 4 Alex Nieto Coalition. She is currently working on becoming an accredited representative before the Bureau of Immigration Appeals and has been CARECEN’s notary public since 2008.